The Kerr Center ranch philosophy has always been to stock with the number of cows that we can maintain during drought years and not be forced to sell off the cow herd. A lot of expense has gone into developing a cow herd that performs on grass in eastern Oklahoma. You do not want to be forced to sell your cows due to lack of forage. During a drought year, a lot of cows are going to market and the market bottoms out. You are forced to sell at a loss or buy hay (which is priced too high) and ride out the drought, until rain brings on grass. Recently, Oklahoma had two severe drought years, 2011 and 2012. We were able to maintain cow numbers, but were forced to buy some hay at $80 for a 4×5 round bale. We lived through it, but many ranchers were forced to sell. It turns out that we were reimbursed, because the cattle market hit an all-time high the following year. So, what do you do with the extra forage during years of above-average rainfall? Most ranchers put up more hay. A barn full of hay is a good insurance policy against drought or severe winters. But what do you do when there are several years in a row of high rainfall? Most ranchers start selling hay. When you sell hay off the ranch you are selling nitrogen, phosphorus, potassium, and many more valuable nutrients. 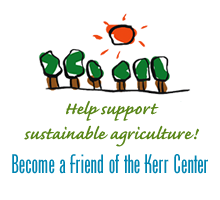 Kerr Center recently estimated that a 4’x6′ round bale is valued at $54 per bale, if you include the cost of the nutrients that need to be replaced once the bale leaves the ranch. You can’t sell a round bale at this price when hay is abundant. Because of our lower stocking rate, we have been dealing with the problem of managing excess forage for many years. It is not really a problem, more like a blessing! We should be able to turn the blessing into increased profits. The Kerr Center has always maintained some level of a stocker program. The number of yearlings on the ranch will vary depending on the amount of forage available. Calves produced on the ranch are retained after weaning and run on grass until they weigh around 800 pounds. 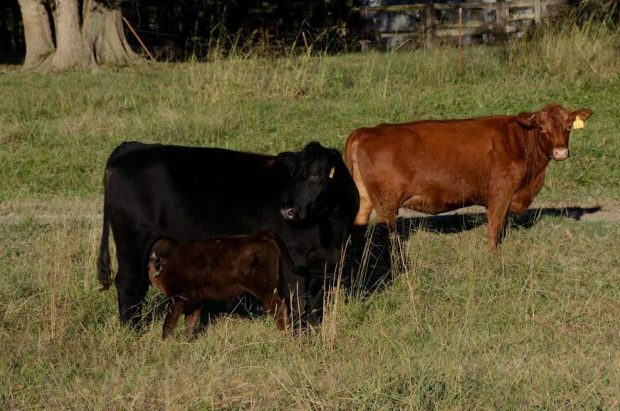 When forage is in excess, extra calves have been purchased, and when forage is lacking, the numbers are reduced. But like everything else in the cattle business, it is risky due to market fluctuations. A management technique we have been working with the past several years is stockpiling excess forage to provide grazing outside the growing season. Because we have a rotational grazing system of management, we can increase or decrease the amount of rest each pasture receives. Increasing the rest period during times of above average rainfall allows us to stockpile forage. The key is to stockpile quality forage, which we have not yet mastered. Many visitors and neighbors have commented on the amount of forage on the Kerr Center ranch. At times we do have more than we can utilize. It is difficult to match forage production with forage consumption, but it is better to be understocked than overstocked. A little excess forage is also a good insurance policy.